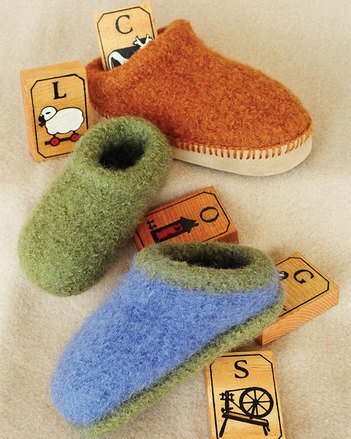 Yarn: 210, 245, 285, 335, 355 yds worsted weight These are fast and easy felt clog slippers for children. 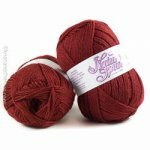 Knit with double yarn and designed to be felted to a very thick, warm fabric. They feature double soles for extra comfort and longer wear. Join soles with a "bumper" as shown on the 2-color clogs, or with a plain join as shown on the solid colored clogs.